Oh my....these are all just so wonderful! oh i love that jar wall organizer!!!! Pretty. I really like the jar wall organizer! 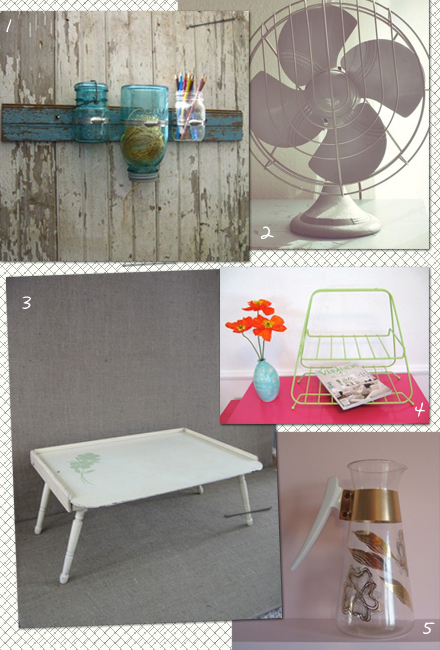 What a great vintage roundup! I especially love the magazine rack and jar organizer.